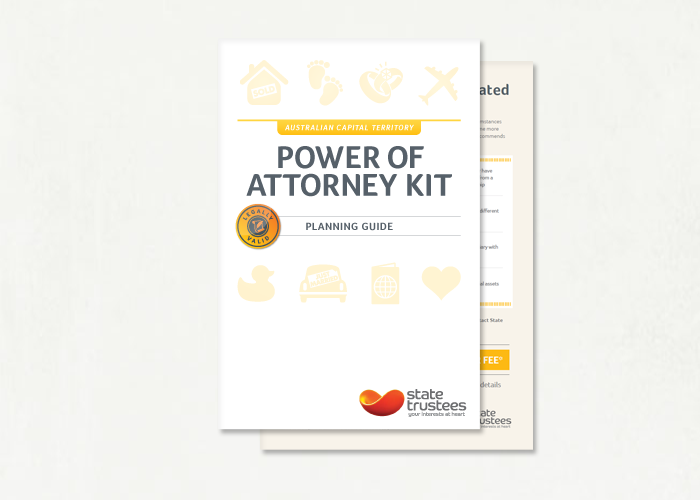 A State Trustees power of attorney kit can help you legally appoint a trusted person to make decisions on your behalf, including when you are unable to do so. 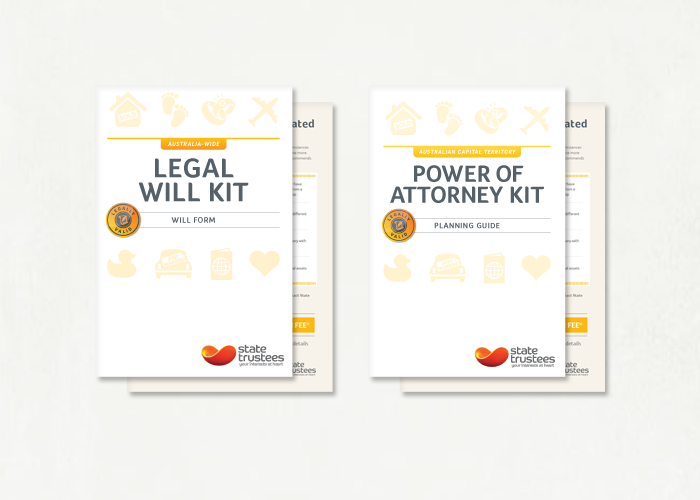 Clear step-by-step instructions to help you complete your own power of attorney documents tailored to your State or Territory. click here to see what forms are in the kit for your State or Territory. To find out if the power of attorney kit is suitable for your circumstances, or if you should consider a face-to-face meeting to discuss your power of attorney, please see our FAQs. ACT powers of attorney legislation changes effective September 2nd 2016.